Toss aside expired makeup and start the year afresh. Beauty products have expiration dates, unfortunately,there’s no easy way to find out what they are. 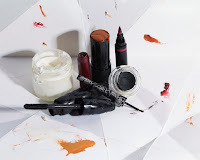 “The risk of using old products is, first and foremost, bacteria,” says Sephora PRO Erik Soto. “If you’re acne-prone, they will cause breakouts.” And of course, the secondary risk is having makeup that goes on wonky and skincare that plain doesn’t work (a big risk, when you consider SPF is one of the most expiration-prone products). The Glossy picked Soto’s brain for the best ways to know whether to give your goods the kiss off. “I’ve seen people take a label maker to their makeup!” says Soto. A less sticky option? Check “My Beauty Bag” on Sephora.com—you’ll be able to see when you purchased things to know how long they’ve been sitting pretty.